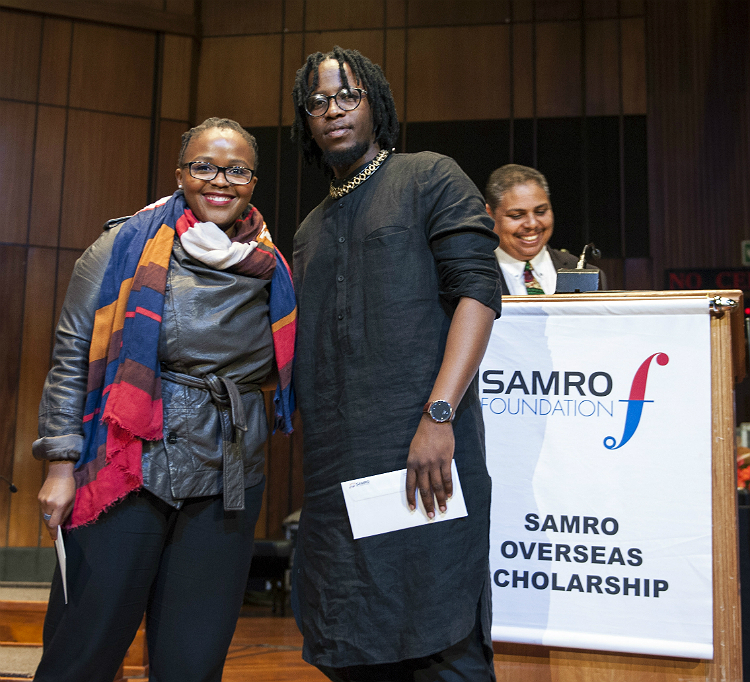 After an evening filled with dazzling performances of original South African music, two new SAMRO Overseas Scholarships winners were crowned on Saturday night – composers Andrew Hoole (Jazz) and Conrad Asman (Western Art Music). University of Cape Town graduate Hoole and current UCT student Asman (who hails from Johannesburg) each won a R200 000 scholarship from the SAMRO Foundation to further their postgraduate studies, or professional development, abroad. 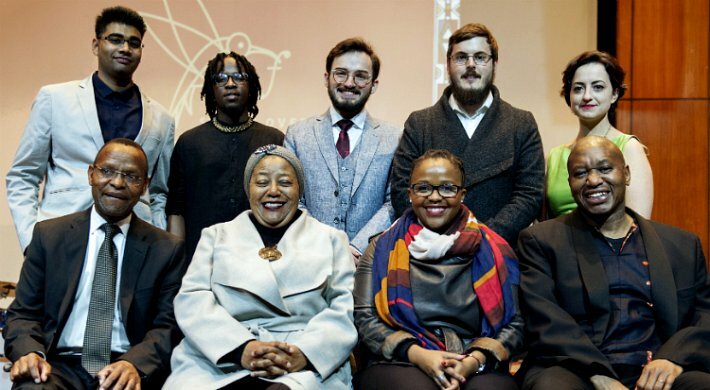 During a gala concert at Johannesburg’s Linder Auditorium on Saturday 18 August 2018, a number of South African composers – new and established – saw their works brought to life by accomplished local musicians. A new award for composers, in honour of South Africa’s diverse and vibrant indigenous cultures, was also unveiled by SAMRO Foundation managing director André le Roux on the night: the Indigenous African Music Awards, for candidates who created the best work in each genre that incorporates indigenous styles and instruments. Marcus Wyatt and the ZAR Jazz Orchestra performed Hoole’s winning compositions Bombero Suite (inspired by the soundtrack he wrote for the video game Flash Point: Fire Rescue) and Kind of Cool (a tribute to the “cool jazz” period epitomised by Miles Davis and Gil Evans). Asman’s victorious composition shisa nyama was conjured with style by Johannesburg Philharmonic Orchestra (JPO) musicians under the baton of Kutlwano Masote. Asman relates that he was inspired to write this “party” piece after thinking of how a South African braai brings people together to share in a fun, festive feast featuring a smorgasbord of flavours. University of KwaZulu-Natal alumnus Riley Giandhari received the R70 000 runner-up award in the Jazz category, for his composition Answer the Call, also performed by Wyatt and the jazz orchestra. The composer says the piece was partly inspired after he once heard a cellphone ringing incessantly in a restaurant, prompting him to take his feeling of annoyance and put it into 7/4 time. Giandhari also received the coveted Surendran Reddy clazz award for jazz, for his ability to expertly meld elements of different musical styles in the spirit of the influential late South African composer and pianist. Asman won the clazz award in the Western Art Music category. Both prizes are worth R10 000. Reddy, who passed away in 2010 aged 47, devised the term “clazz” to describe his crossover musical style and his concept of composition and improvisation – a seamless fusion of classical, jazz, traditional African and other styles of world music. Stellenbosch University graduate Lise Morrison was the runner-up in the Western Art Music category, receiving a R70 000 prize. Her work Dololo (for flute, guitar, percussion and string trio) was composed with the mbira in mind, using the rhythm of the word “dololo” as a starting point. In addition, her Trio in Five Movements was inspired by the contrasts between the different landscapes and soundscapes she has experienced during her travels. Both works were played by JPO musicians. Morrison, who is currently based in The Hague, in the Netherlands, also walked off with the R30 000 SAMRO special award for Indigenous African Music in her category. 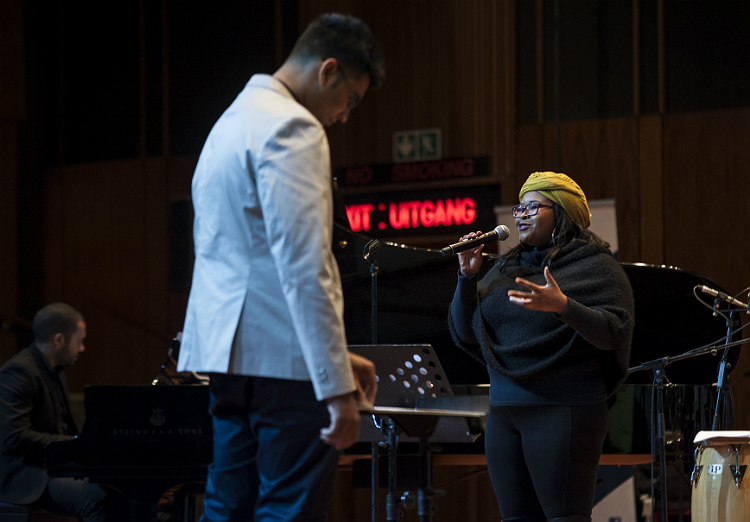 In addition to showcasing the works of these four finalists, the gala concert also offered another young jazz composer and competition semi-finalist, Ndabo Zulu, a platform on which to shine. His work Umgidi, dedicated to the Nguni nation, was performed by Wyatt and the ZAR Orchestra. UKZN graduate Zulu, who is currently completing his master’s degree at the Norwegian Music Academy in Oslo, received the R30 000 Indigenous African Music Award in the jazz category. During an evening dedicated to the special place that composers hold in society as creators of what Le Roux termed “the soundtrack to our lives”, other original indigenous compositions were also performed. Joe Makhanza’s Mangwani mpulele is a Sotho folk song about lobola, and his Mbilu yi ri tukutuku is dedicated to all victims of crime. As part of a special focus on Nelson Mandela to mark the 100th year of the late, great statesman’s birth, two tracks by accomplished composer and bass player Concord Nkabinde were performed: An Ideal to Die For and Time to Build (drawn from Madiba’s own speeches and words), and former SAMRO scholarship winner Darren English’s Pledge for Peace, part of a suite of three songs he composed to pay homage to the icon.